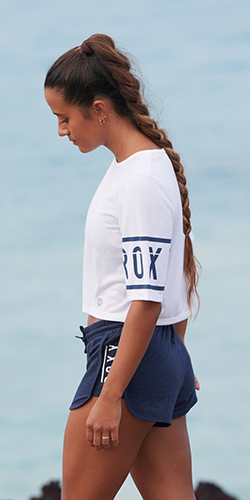 Bikini top for women from ROXY. Features include: Strappy Love colour story, reversible design, fixed triangle, small coverage top, reversible top and stretch swim fabric . ROXY™ Womens Strappy Love Reversible Fixed Tri Separate Bikini Top - Bikini top for women from ROXY. Features include: Strappy Love colour story, reversible design, fixed triangle, small coverage top, reversible top and stretch swim fabric .